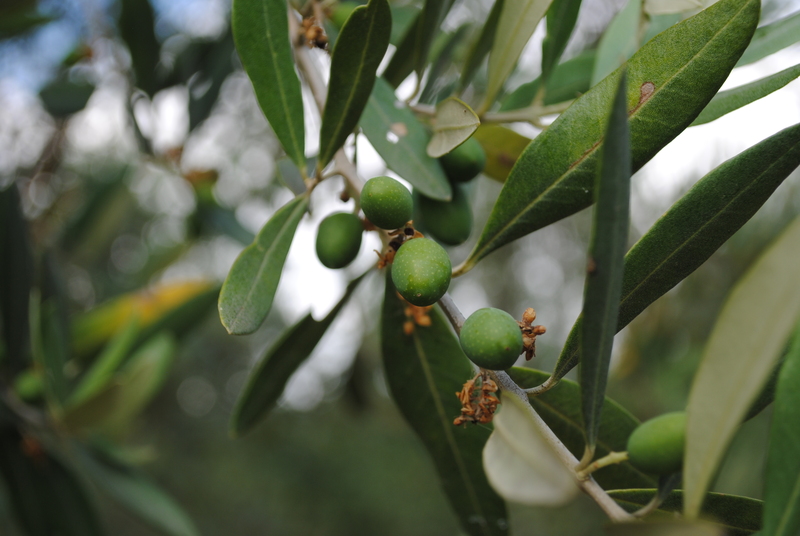 Summer is a quiet period for olive farmers, particularly the organic sort. The trees have been pruned and the grass mown, the fruit has set, so since we are not irrigating or spraying our trees, the only thing to do now is wait. 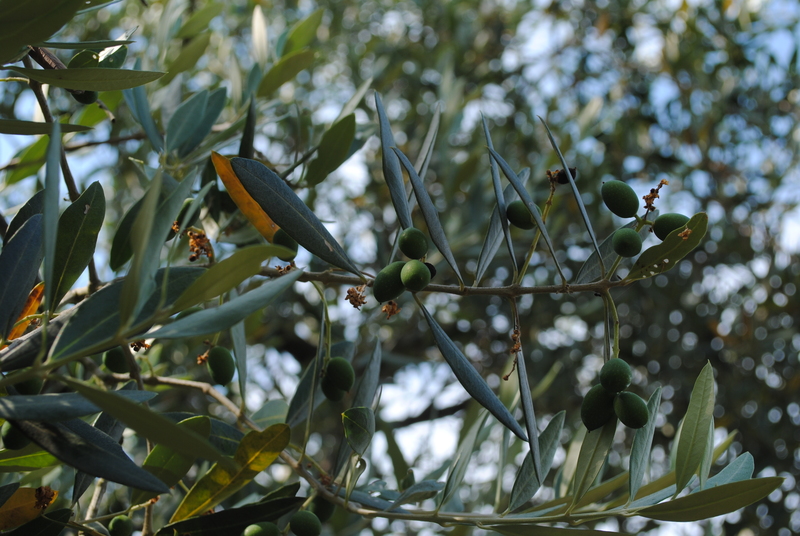 Wait, and hope for the right conditions for the tiny, hard green olives to develop into fat, oil-rich fruit. The risks (pests, weather) now are beyond our control – the freak hailstorm that decimated vineyards in Burgandy, France this week was a reminder that farmers are always vulnerable to nature. Olive trees are generally alternate or biennial bearing, so our trees have developed fruit in the opposite pattern to last year. Some trees are dripping in olives, while others are bare, but overall it should be a good harvest if all the fruit develops. Spring was long and wet this year, delaying the flowering of the trees and setting of the fruit, so the local consensus is that the harvest will be a little late this year – probably starting in November rather than late October. I am always happy when I hear someone is growing something organic. It’s riskier but I would much rather eat organic food… and I like the idea that we are farming in the traditional way, you feel a connection with the history of the area. Time to relax then, read a book, write a blog in the calm before the ‘storm’ or do olive farmers have other chores to carry out whilst waiting? What a lovely description, I can almost picture the scene. I love the connection with the past.. of course the presses are mechanised now but hand-picking the olives makes me feel connected to all past generations who have worked the fields. Summer is wonderful but I’m looking forward to autumn, the grape and olive harvest is such a special time of year here. Lovely, peaceful photos. I hope mother nature treats you well! 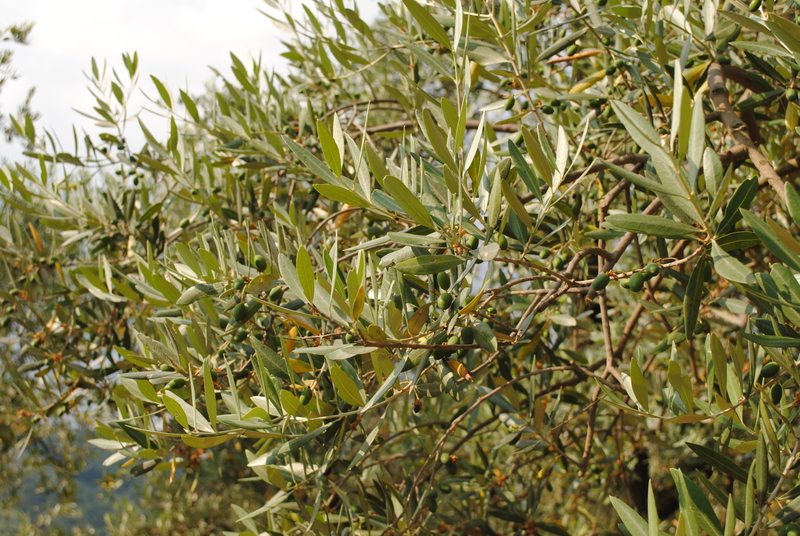 Do some olive growers irrigate in summer? 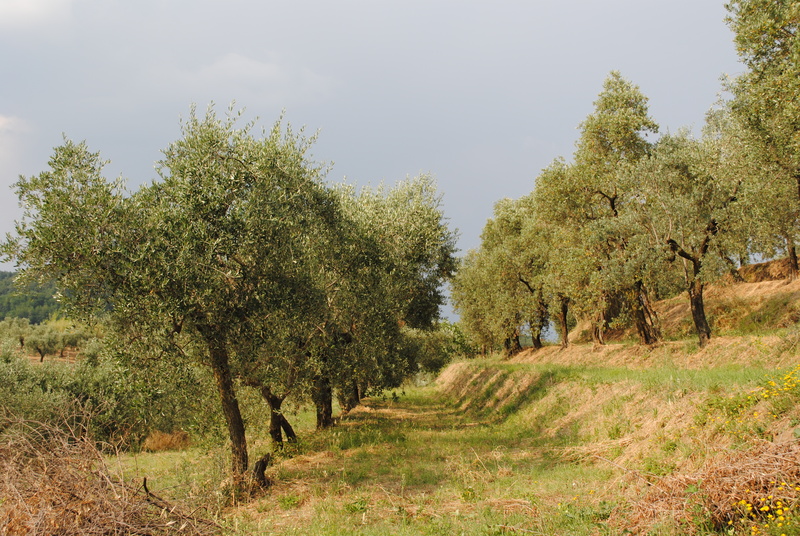 Here people don’t generally irrigate (although they might for very young trees if it’s a very dry summer) but in places where olives are cultivated more intensively (packed closely together and planted in shallower soil) I believe they irrigate (this doesn’t apply to Tuscany). I think outside the Mediterranean basin – Australia, Israel etc – irrigation is common. We don’t do anything to our trees either; I think our olives seem larger than this time last year, swollen with water rather than oil I rather suspect. Talking about organic products, I’m so proud Italy managed to prohibit the cultivation of MON810 corn. I hate Monsanto. 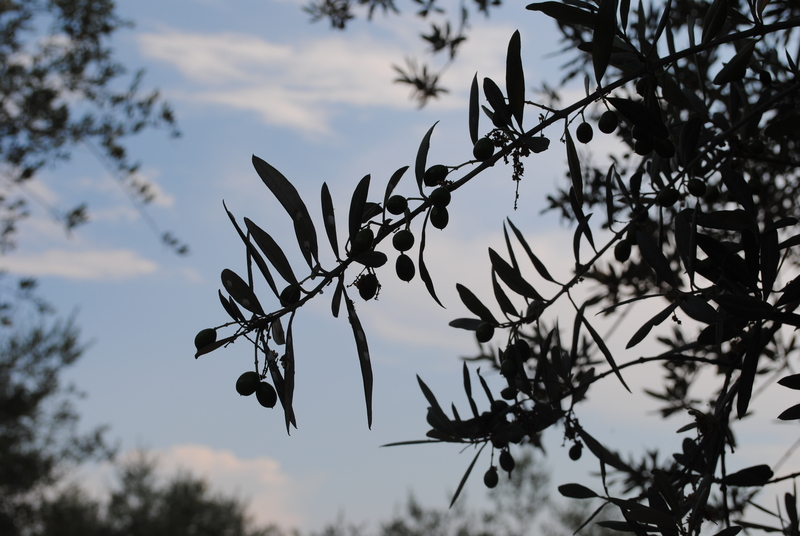 What a beautiful olive grove you have and what a lovely way to live. I am sure it is hard work, but very rewarding. Thanks for visiting my blog and I look forward to seeing more of your posts! Thanks for visiting… It is indeed a beautiful part of the world and a relaxing lifestyle compared to our hectic London lives. I hope you enjoy reading more. Thanks for linking to my site!